The Social Booth is a Still, GIF and Boomerang creating machine! This compact social station is perfect for creating fun digital content guests can share on the spot! The Social Booth allows guests to create fun Still, GIF and Boomerang experiences and all three are available during a booth hire. Additional layouts can be added and custom layouts can be created. 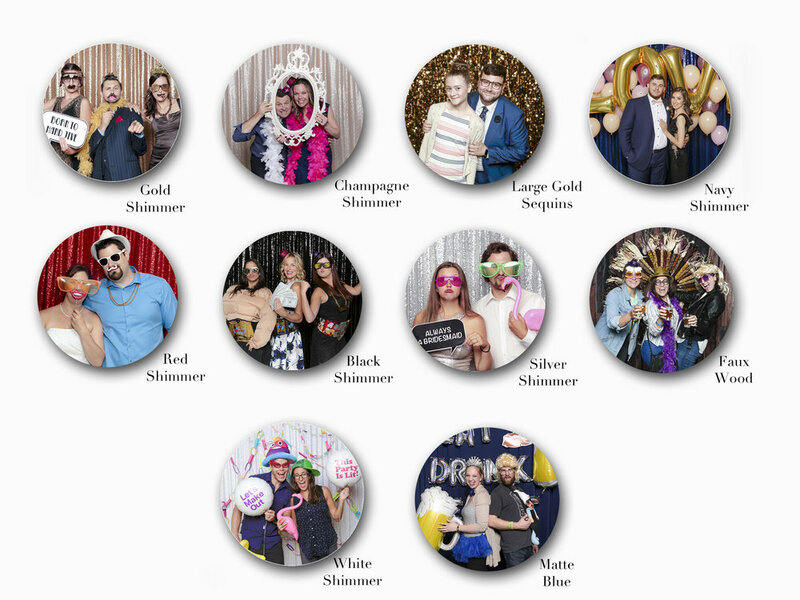 A wonderful way to see all the images and fun captured in the Social Booth is within a microsite. The microsite is a mini gallery containing all the content created in your Social Booth. Click here to experience a microsite. Guests have fun with props so it's no wonder you have more than a couple options. The Social Booth has digital prop options similar to the ones seen on social media platforms. Use any of the existing prop options or have some created for you! Traditional items like lips, moustaches, hats, glasses & boas are always a hit. Themed props are available as well as quote bubbles. All props are upgrades and priced individually. What is included in a Social Booth booking? What are GIF's & Boomerangs? GIFs and boomerangs are the latest trend made popular by social sites like Instagram, Twitter and Facebook. If a picture is worth a thousand words than GIFs and Boomerangs are worth a million. A standard GIF consists of 3 or 4 images looping together non-stop to create an exciting stop animation video. GIFs are automatically generated after photo-taking for instant sharing. The first image box at the top of the page is a GIF. Boomerangs are fun, dynamic, and in high-demand right now. They work by taking a quick burst of photos, which are then stitched together to create a looped video clip that plays forward and backward over and over. The second image box from the top of the page is a Boomerang. The Social Booth is a self-contained standing unit, which takes up a minimal amount of space. If you choose to use physical props and a backdrop, the minimum space required is 10x10x10 feet. A standard electrical outlet within 10ft of the booth is needed and ideally is NOT shared with any power-hungry devices. Weddings, Bridal showers, Corporate activations, Festivals, Fundraisers, Charitable events, Christmas parties, Graduations, Birthdays.......just about anything! Follow the step above. Once the contract is signed and the retainer is received, the Social Booth is booked!